“Look Twice, Save a Life” – a bumper sticker we’ve seen on many cars to remind us that motorcyclists are on the road. Bikers are more at risk than other drivers because they are often difficult to see and have less protection than a car or truck affords. If you’re a motorcyclist who’s been injured by someone’s reckless driving, you need a skilled Marietta, GA Attorney to navigate your personal injury case. Georgia’s code, O.C.G.A. § 40-6-390, defines a reckless driver as “any person who drives any vehicle in reckless disregard for the safety of persons or property […].” If you’re a motorcyclist, you’ve probably encountered many of these drivers. You need Attorney Dean Phillips in your corner if you’ve been involved in a wreck because of someone’s reckless driving. Attorney Dean Phillips is an experienced lawyer who possesses the skill and knowledge required to assess your personal injury case resulting from a Marietta motorcycle accident. Attorney Phillips will listen to your account, collect evidence, and subpoena witnesses if necessary. He will aggressively negotiate a claim on your behalf with the wrongdoer’s insurance company or fight for you in court. Our Marietta Attorney’s will examine medical records, the police report, radiology records, and witness testimony. From this information, he will begin assessing the compensation you deserve to cover the expenses of doctor bills, prescriptions, motorcycle repair, and lost wages. Let motorcycle Attorney Dean Phillips fight for the compensation that you will need to cover the costs of your motorcycle wreck. He will be your voice in your time of need. Attorney Dean Phillips will pursue your best interests aggressively and with integrity. 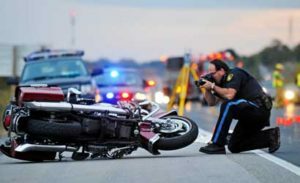 Attorney Phillips represents motorcyclists injured in Marietta, Cobb County, Paulding County, Bartow County, Acworth, Austell, Powder Springs, Smyrna, Kennesaw and Woodstock. For a free consultation on your personal injury case, call 770-415-0933.